Yesterday, DAP's Serdang MP Ong Kian Ming claimed Malaysia was not featured in the rankings for Mathematics, Reading and Science in the Programme for International Student Assessment 2015 (Pisa 2015) report. Then, the Education Ministry issued a statement, insisting that Malaysia did indeed appear in the report. So, who's telling the truth and who's not? 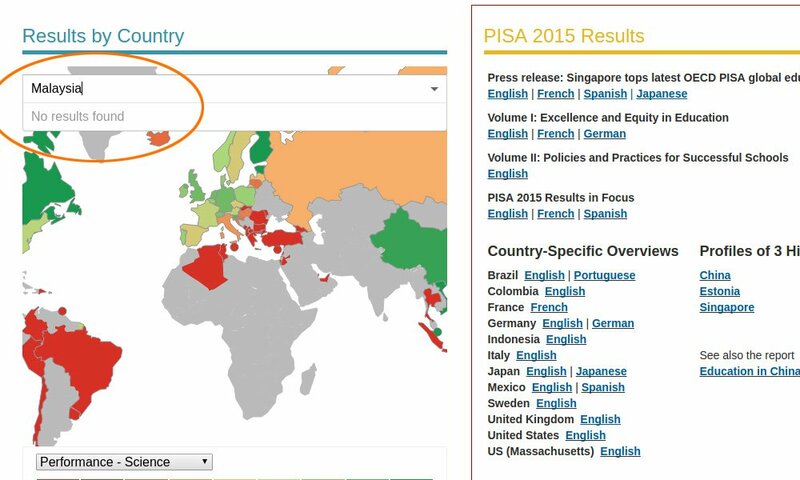 In simple words, both are correct: Malaysia did appear in the Pisa 2015 report, but it was not ranked with the other countries due to bungled data submitted. Here's a breakdown of what happened. 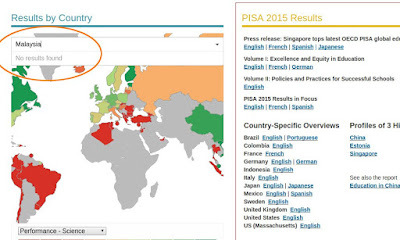 It began with Education Ministry deputy director-general Amin Senin proudly announcing that Malaysia had improved its performance in Pisa 2015 on Wednesday. He pointed out Malaysia's score for Mathematics had increased from 404 to 421 while the score for Reading improved from 398 to 414 and Science from 420 to 422 as compared to Pisa 2012. What did DAP MP Ong Kian Ming say? Ong poured cold water on the boast, claiming that Malaysia was not ranked as Malaysia's data only had a 51 percent response rate from schools, therefore it did not meet the minimum 85 percent requirement by Pisa. He also speculated that the 51 percent response rate may be skewed to high performing schools, therefore giving an impression that Malaysia's performance had improved even though the data is not representative of the whole country. This is absolutely bizzare, considering the fact Pisa score is the de facto metric used everywhere in the world on the level of basic education quality. Deliberate or not, one accurate word on the Education Ministry's failure to submit the required data: incompetent.